At the end of 2005 in Tampico, Tamaulipas, Mexico, Jesus Sosa Sharpton a 23 year-old thrasher rhythm guitarist, asked Federico Storms, a 22 year-old hard rock drummer if he wanted to jam. He did and they did. By December of that year they had recorded five instrumental songs in a home studio. Unfortunately, time and circumstances prevented the duo from continuing their collaboration. Still, the seed was sown and both Jesus and Federico spent the next year itching to create more music. They got back together almost exactly one year later. Between August and December 2006, they composed and rehearsed four more instrumental songs (‘Inner Flame,’ ‘Communion,’ ‘Believer’ & ‘Stand With Faith’) and along with two of their earlier compositions, (‘Empowered’ & ‘Thrasher’) recorded a 6 song demo, again in a home studio. During this time, they looked for a lead guitarist, a bassist and a singer, but with no success. 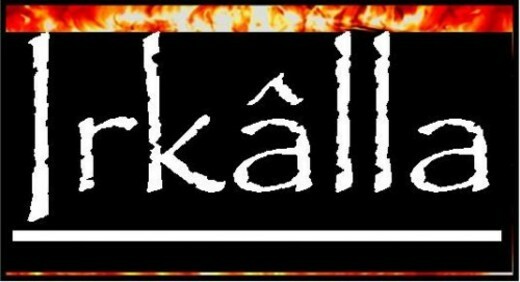 Undaunted, they decided to continue as an instrumental band, naming themselves " Irkâlla ", (the equivalent of ‘Hell’ in ancient Sumerian mythology). Several small live performances later, it became clear that they had an audience. Public reaction was good and, even better, at one of the shows, Fernando Rivera, a fiery 21 year-old lead guitarist, became a fan and, shortly thereafter, the third member of the band. If Jesus and Fernando had needed convincing that Irkâlla was on to something, Fernando’s solos did the trick. This trio rocks hard.